Time is changing, the way our parents had led their childhood, the way we did and now the way our kids are leading is not but totally changed. Today’s time requirements for a parent are to fill the generation gap between you and your child. It can really bring a healthy atmosphere in your home, and finally it’s the parents who are going enjoy the benefits. To change yourself a bit for your child is not a big deal…. Isn’t? Give maximum time to your kid. If you are a working parent, sit together discuss and prepare a proper schedule, to wave-off your child’s loneliness. And in case, your child has no siblings, you have to act more responsibly with your child. Always check your child’s attitude, activities and behavior, when he returns from school, playground or from a friend’s home, this is one of the best way to read your child’s mind. You are his parent and who else can understand your child better than you. Be a friend to your child; try to bring him very close to you, so that he can count on you to share his heart with you. Teenage brings fear pressure in your child. Keeping an eye on your child’s behavior will help you to understand his in-going mental status and being a friend with him will ease the situation for you to guide and advise him. No one can be such a true and loyal friend except the parents. Generally, when you are upset, you keep your child aside; thinking him as under aged to be a part of your discussion. Be a friend; share your matters in a refined way. Remember don’t go in depth discussion, just give an outline of your undergoing issues and ask him to understand you and support you. Children of today are very understanding; your handling can make a big difference in their life. When your child returns from school, never be after him for studies or for any precised schedule designed for him to be followed. Give him his time to manage his timings, this will give him self-confidence, enhance his management skills and above all he is going to trust and love you more and more for being such an understanding parent. Children are very particular about their school, friends and gatherings. So, never miss parent meetings, school functions, sports activities or their friend’s birthday parties, picnic or outings. When a child sees his parents responsible, his moral pressure bounds him also to act responsibly, all is vice versa, you are going to reap what you have sowed. Nyshi is from Indian origin, she is a blogger, writer; writing articles on parenting and relationships is her passion and forte. 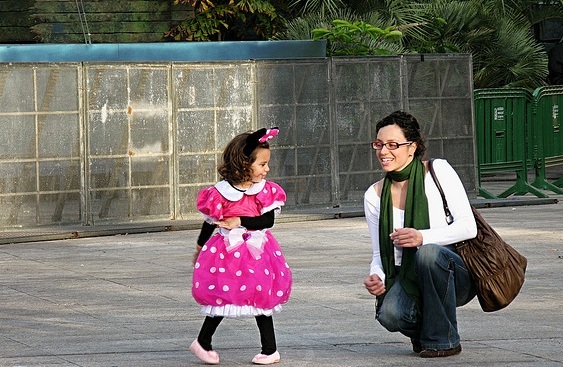 At present, she is writing for KidsConsultant.com, her article will help us to understand Indian parenting system, as her perspective of writing is from Indian Point of View.